Ndegeya is a small village north of Masaka in Uganda and it consists of 7 hamlets. It is a very poor district where people try to earn a living by selling their small crops. But when the crops fail the people have no income and extreme poverty is the result. It happens more often than before that the crops fail because Uganda suffers from the climate change: the dry season is drier than before and the wet season brings less and less rain. 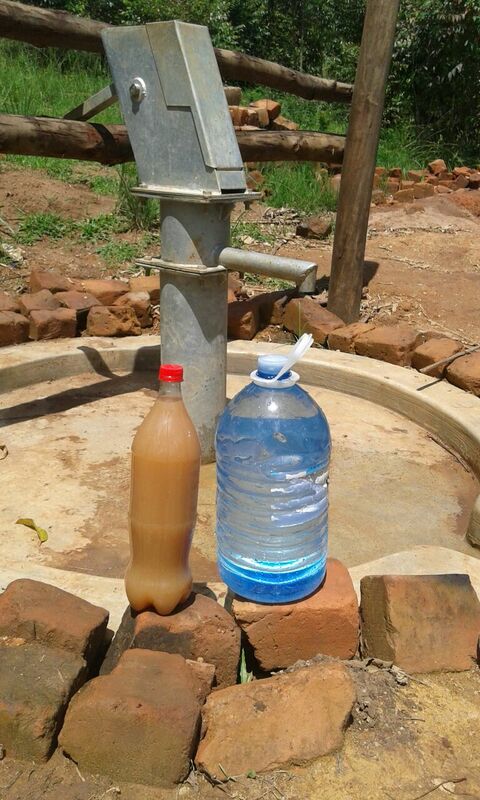 So there is an enormous need of water. 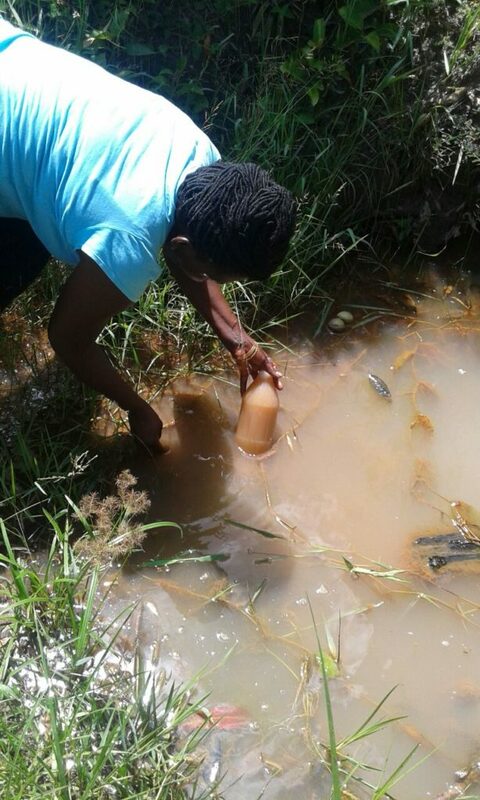 The inhabitants of Ndegeya collect their water from small puddles containing polluted water because cattle use these puddles too. 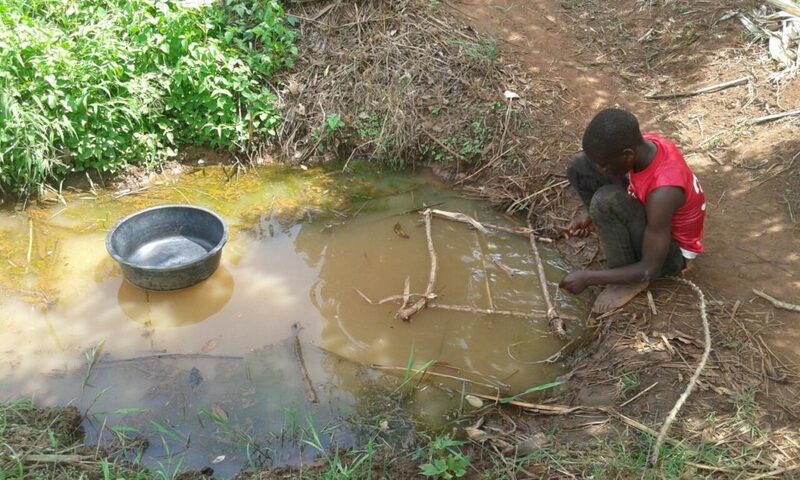 It is obvious that using this water is bad for their health. The village elders have asked mister Katuusi Apollo, who is the coordinator of the Joanne Foundation, to help them and Apollo asked the foundation what we could do for the community. 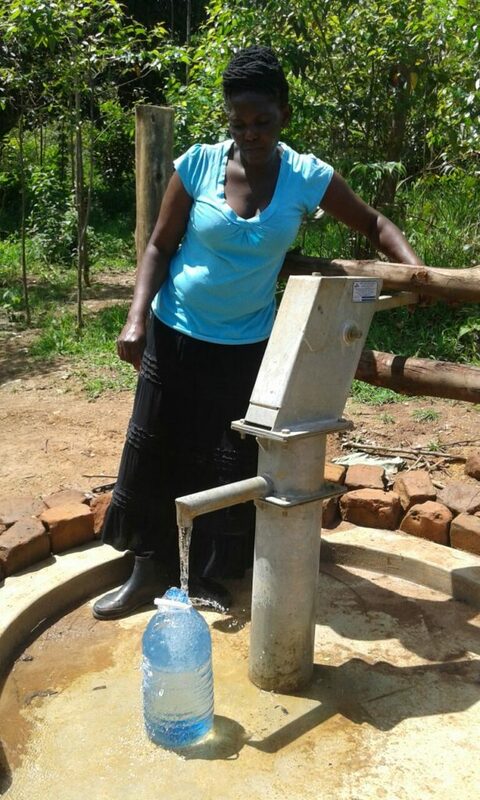 We are happy to tell you that we have found sponsors to help the Joanne Foundation finance the construction of waterpumps. First we started drawing up an M.O.U. (“Memorandum of Understanding). 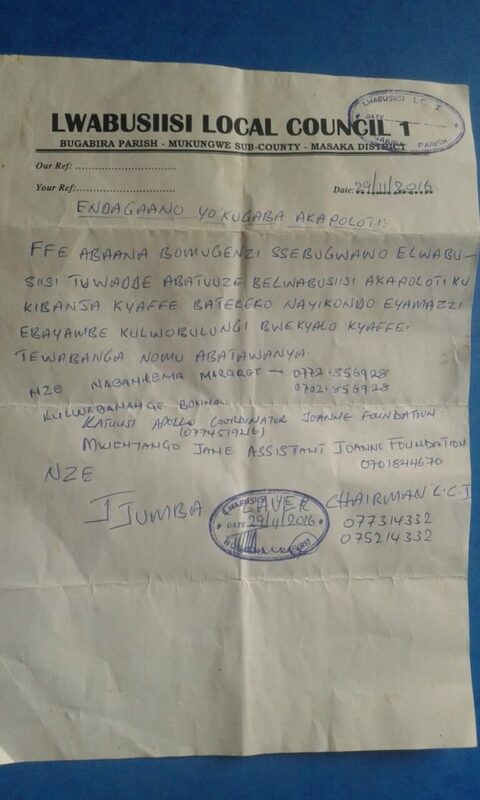 This is a sort of contract between the owner of the property on which the pump will be built, the village elders and the coordinator of the Joanne Foundation. In this contract the owner of the property states that the property is given to the community for an indefinite period for the construction of a waterpump and in the contract he promises that he will never demand payment. 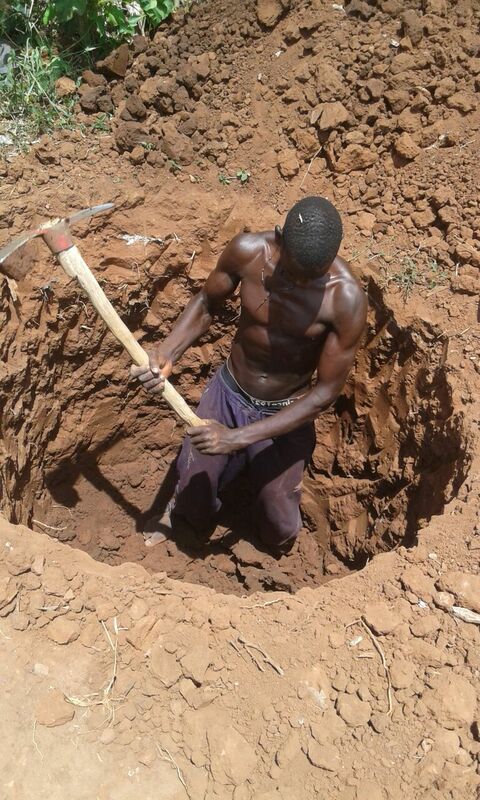 After signing the contract the local people started levelling the ground, digging the well and installing the pump. 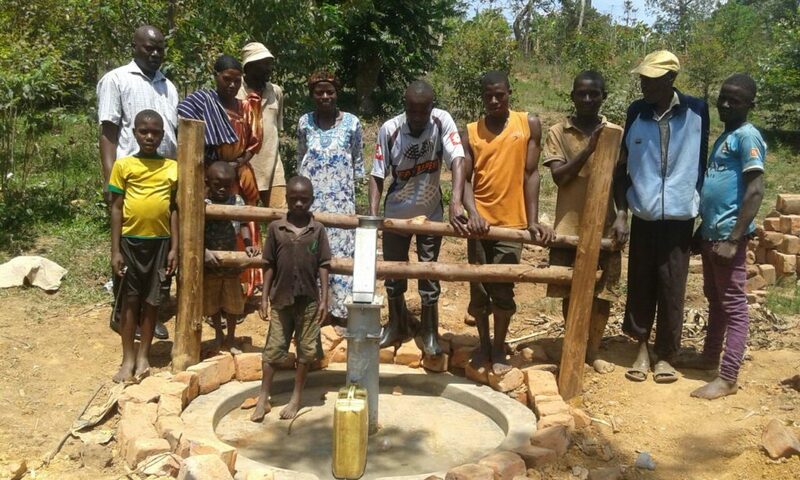 The Joanne Foundation insisted that the work should be done by the locals in order to give them a feeling of ownership, the pump is their responsibility. 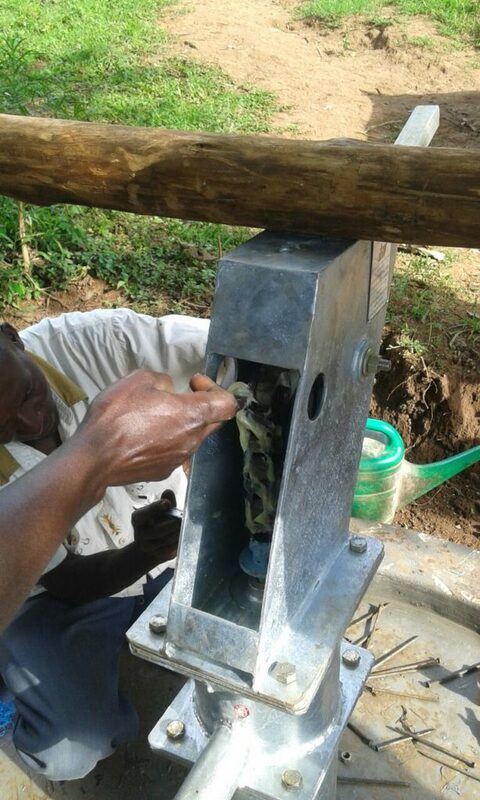 The contractor, Bakka Godfrey, supervised the construction and also trained a number of people of the villages in the maintenance of the pump. 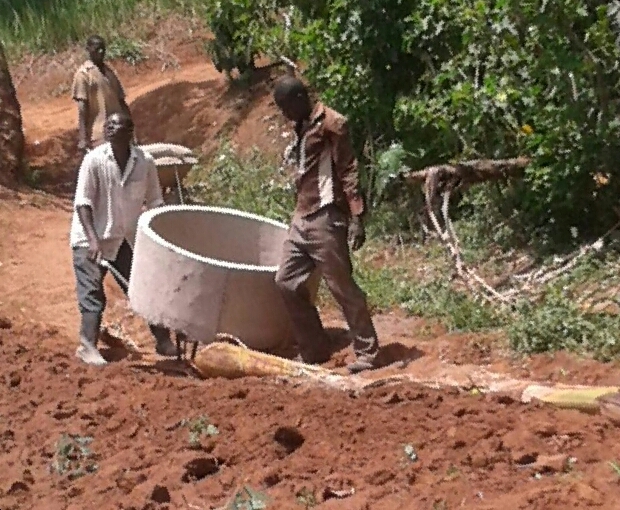 The well is dug by hand and the locals help move the materials to the site. The members of the watercommittee receive instruction on how to maintain the pump. 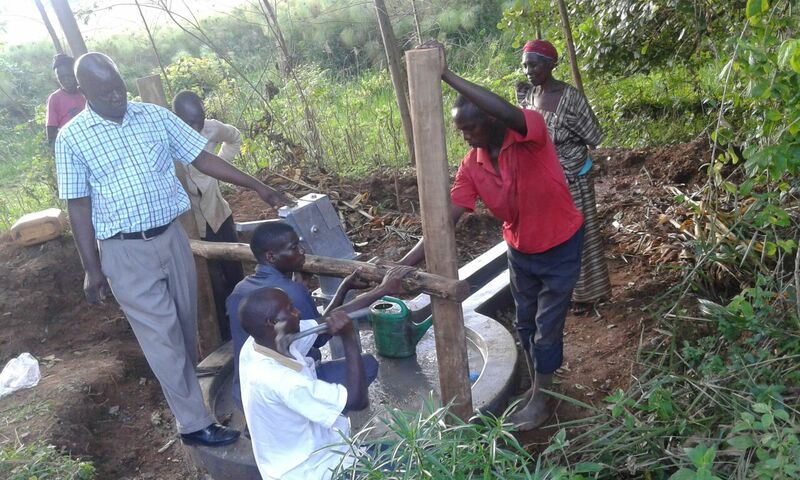 The person on the left is Bakka Godfrey, the contractor who guided the project and taught the villagers how to maintain the pump. 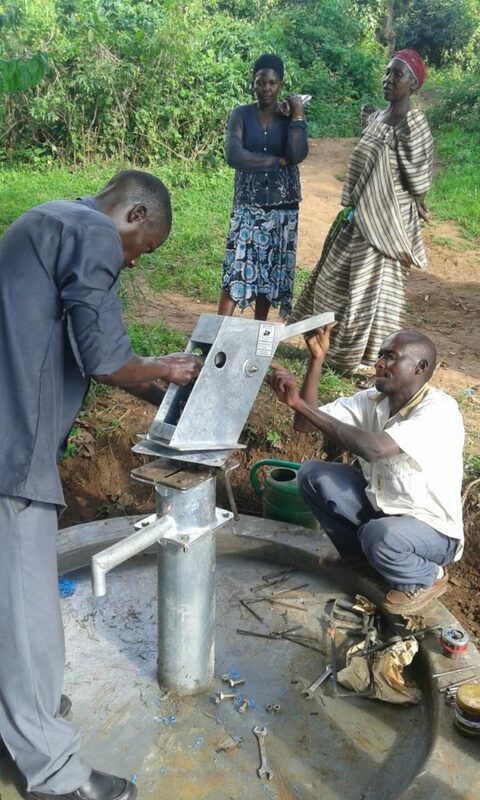 The people are very happy with the new pump and the clean water. What a difference!